Clement L. Tsao is an associate attorney with BS&J where he practices labor and employment law representing labor unions, individual plaintiffs, and employee benefit plans. In addition to litigation and client advising, Clement is a contributing chapter editor to The Developing Labor Law: the Board, Courts and the National Labor Relations Act, and was a contributing author to the Workplace Data: Law and Litigation, 2014 Cumulative Supplement. From 2016 to 2018, Clement served on the Board of Directors of the AFL-CIO Lawyers Coordinating Committee, the national network of lawyers representing AFL-CIO affiliated unions. Currently, he serves as Chair of the Cincinnati Public Schools Preschool Workforce Development Council. Prior to becoming an attorney, Clement worked for six years as a union organizer, first for UNITE HERE organizing hotel workers in New York City and Washington DC, and then for AFSCME organizing family child care providers in the San Francisco Bay Area. 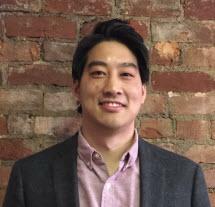 Clement earned his bachelor’s degree in 2003 from Brown University and his Juris Doctor in 2012 from the University of Cincinnati College of Law.